If you have more than one computer, and you're looking for a way to share their screen real estate, you could put the unique program MaxiVista ($40, free usage-limited demo or 15-day trial) to good use. Available in 32-bit and 64-bit versions, this program lets you turn a second PC or laptop into an extension of your main monitor, allowing you to treat their screens as if they were part of the same display. In that way, you can use both monitors as if they were one large one. Both PCs will have to be on the same network. 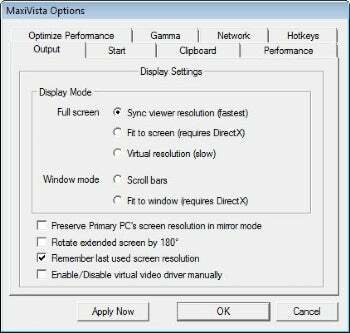 MaxiVista lets you use the monitors of two PCs as if they were one single, uninterrupted monitor.